London! Where do I start? I suppose at the beginning – or in this case, a decade ago when I studied abroad there and fell in love with this place. I’ve been dying to go back ever since and getting to experience this time with Adam in tow was even better than I had imagined. I love London for a million reasons, but mainly because of the amazing mix of history alongside the modern pulse of a major international city. While I could spend years in London and still not see everything, I’ve done my best to showcase a highlight reel here in the case that you’re planning on hopping the pond yourself. And if you are.. can I come with? As someone who lives in a place where I avoid ‘tourist traps’ like the plague – London’s tourist destinations are full of such incredible history that dismissing them all together would be a mistake. 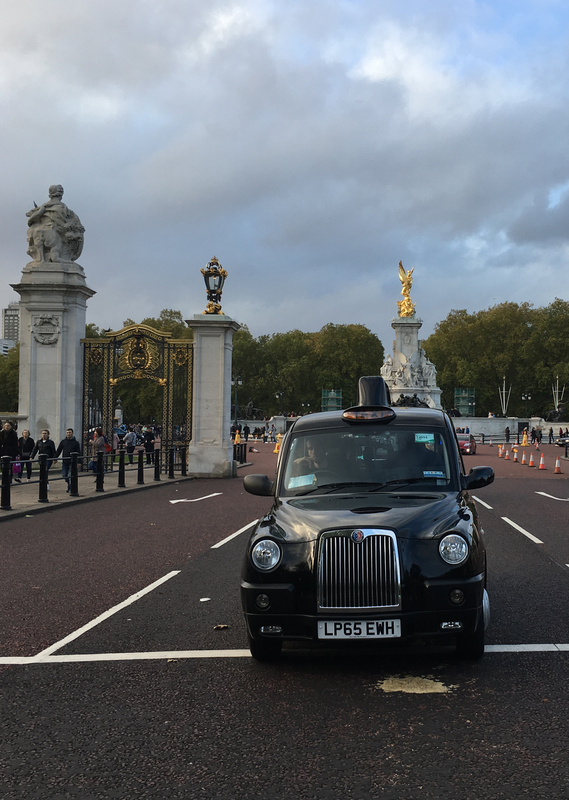 You’re going to want to see Buckingham Palace, Westminster Abbey and Big Ben (although as of November 2017 was nearly completely covered in scaffolding thanks to ongoing restoration). 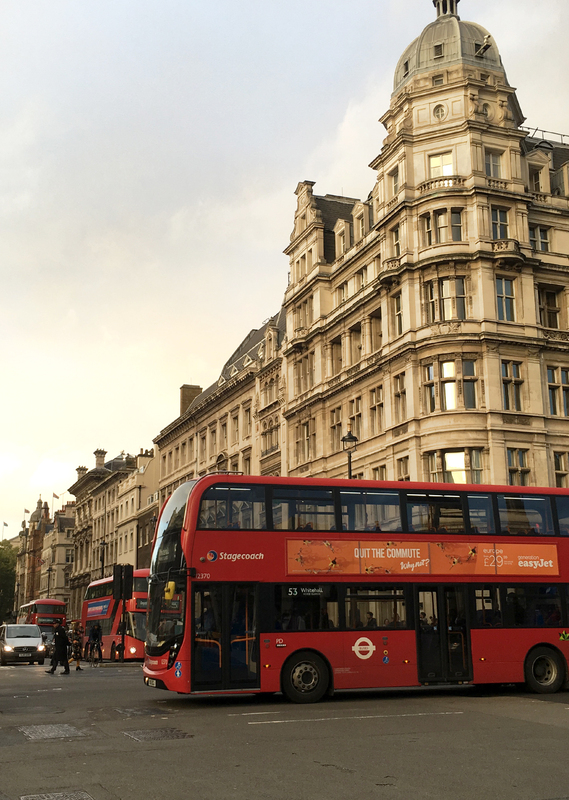 Picadilly Circus (London’s version of Times Square) is worth walking through – if only on your way to Oxford Street shopping (locals call this ‘high street shopping’) and Trafalgar Square deserves a stop. All of this allows you to get a real sense for the heart of the city. And if you’re a New Yorker looking for a Central Park equivalent, you’ll find it in Hyde Park. One of my favorite spots in all of London, Hype Park is an expansive bit of calm amidst an otherwise bustling city. 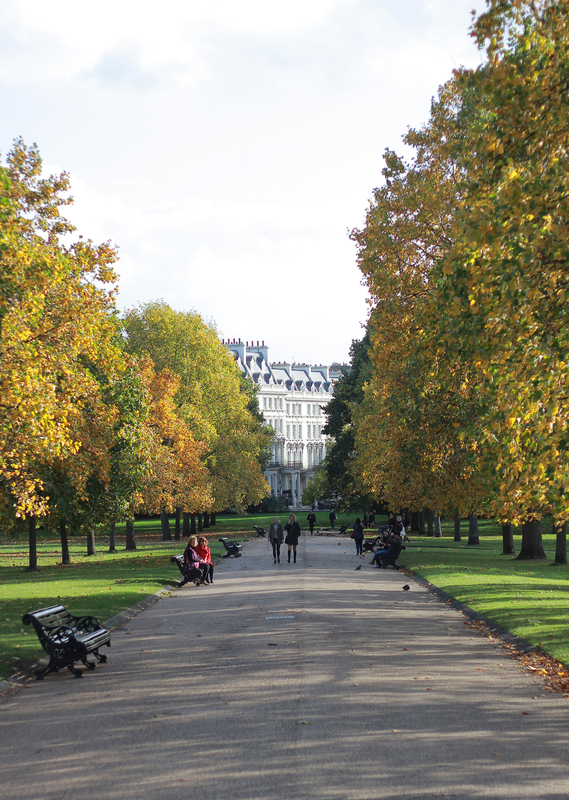 Be sure to walk through Kensington Gardens and visit the Princess Diana Memorial and Peter Pan statue. I usually prefer to see cities by foot, but due to the sheer scale of London, you’ll want other options. The Metro (or Tube as the Brits call it) is incredibly easy to navigate and about a million times cleaner and more organized than the NY Subway. Likewise, buses are great for flexibility and there’s the added bonus of getting to jump on a red double-decker. And lastly, the most fun way to see the town is – hands down – by water. 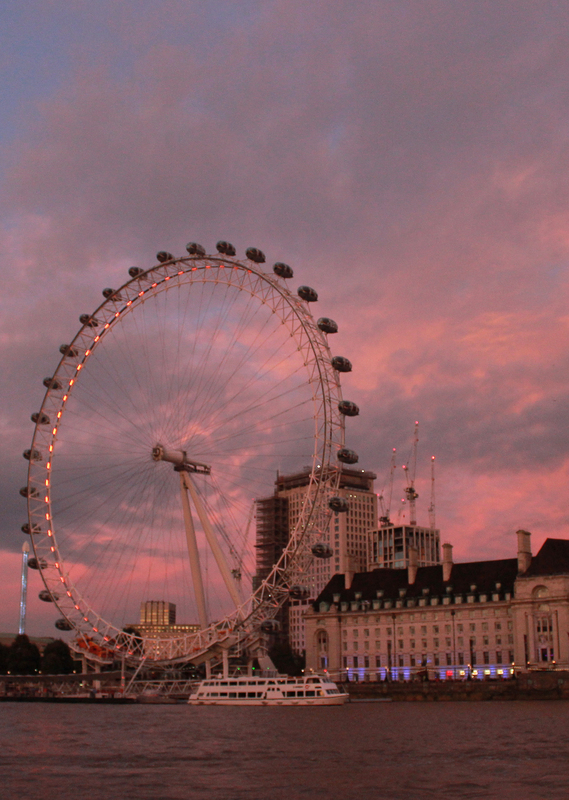 On our last night there, we took a boat tour of the Thames and were rewarded with a pretty incredible sunset. While you may not get quite as lucky, you’ll still get a great view of both side of the river and in half an hour will have taken in most of London’s skyline. 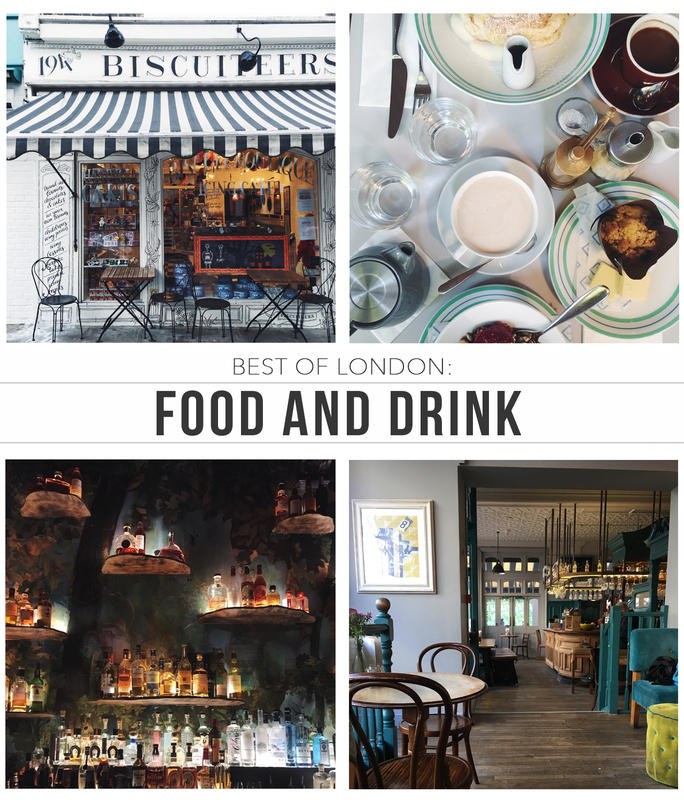 Biscuiteers: The cutest little Notting Hill cookie and tea shop. Cafe Murano: I tend to think New York has some pretty great Italian, but this place gave it a run for it’s money. A small spot with beautiful interiors (and an awesome wine and craft beer list), we nearly went back for a second time in a single trip. Churchhill Arms: A classic pub in the front, a crazy greenhouse of a Thai restaurant in the back. And the outside reads like a botanical garden gone wildly British. Granger & Co: Our best breakfast of the trip by far. 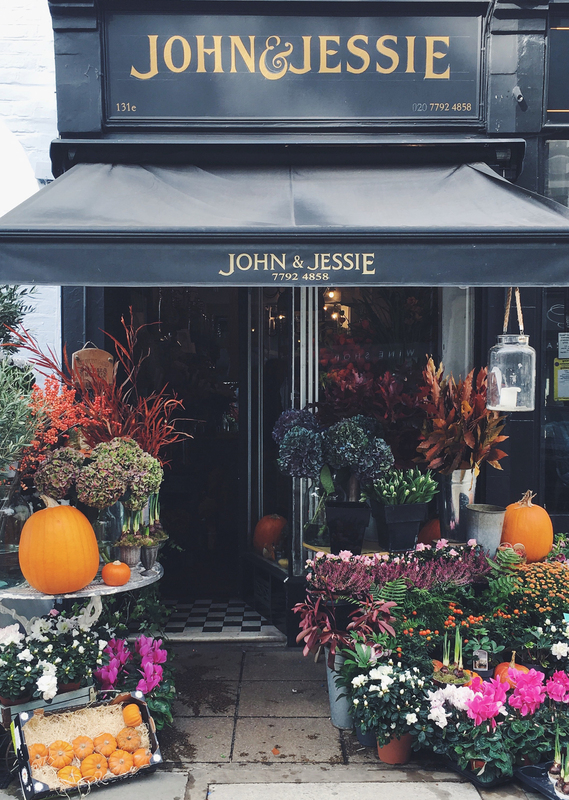 Fresh ingredients, delicious takes on the classics and located in the cutest area of Notting Hill. Get the Ricotta hotcakes and never look back. Jazz Cafe: An otherwise simple bar up front, that opens into an awesome and intimate concert venue. We saw a jazz tribute to Van Morrison and it was one of our best nights in London. 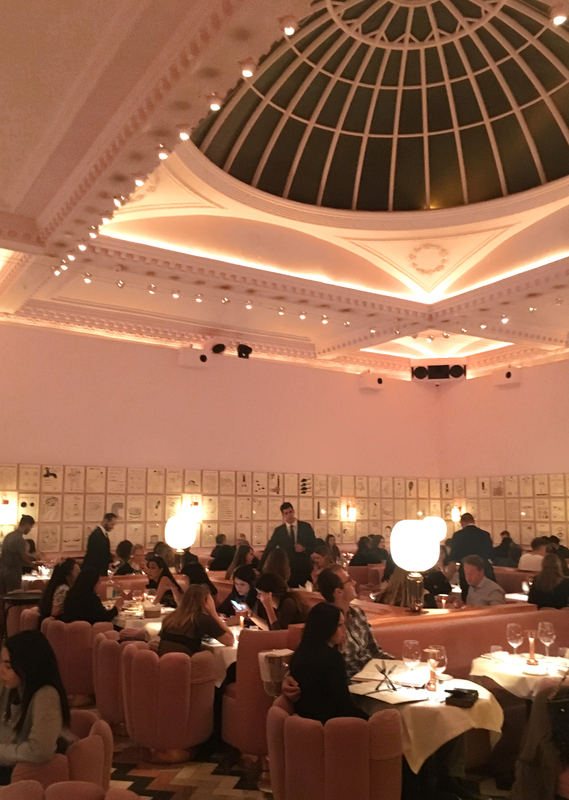 Sketch London: Sure, it’s become Instagram fodder, but honestly it lived up to the hype. A serious feast for the eyes, ever detail of this incredible space has been considered. The main dining room is a lavish dream straight out of 1920s Paris. The bar where we got drinks was like an actual enchanted forest. 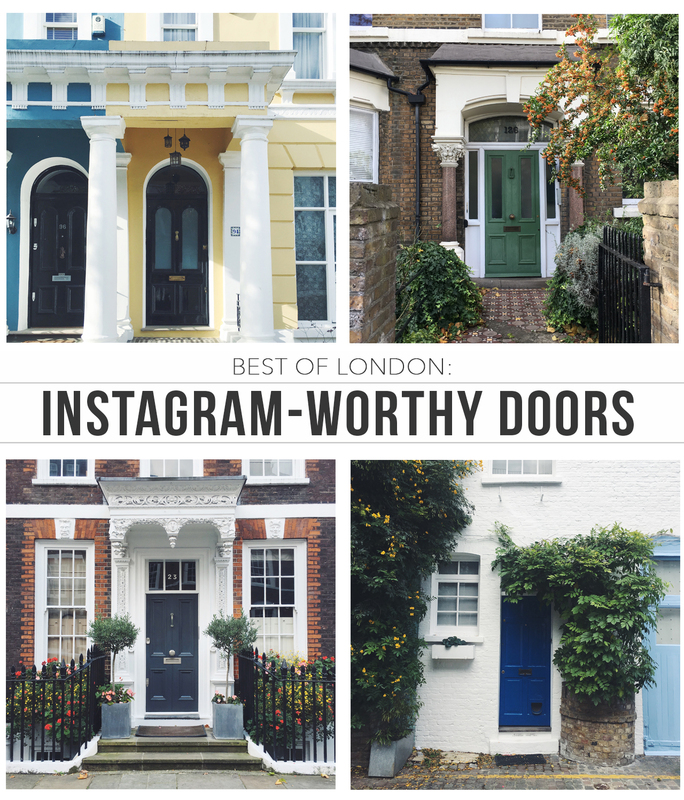 And – because it wouldn’t be The Steele Maiden without a pause for cute stoops – I thought I’d share some of my favorite places for Instagram-worthy doors. 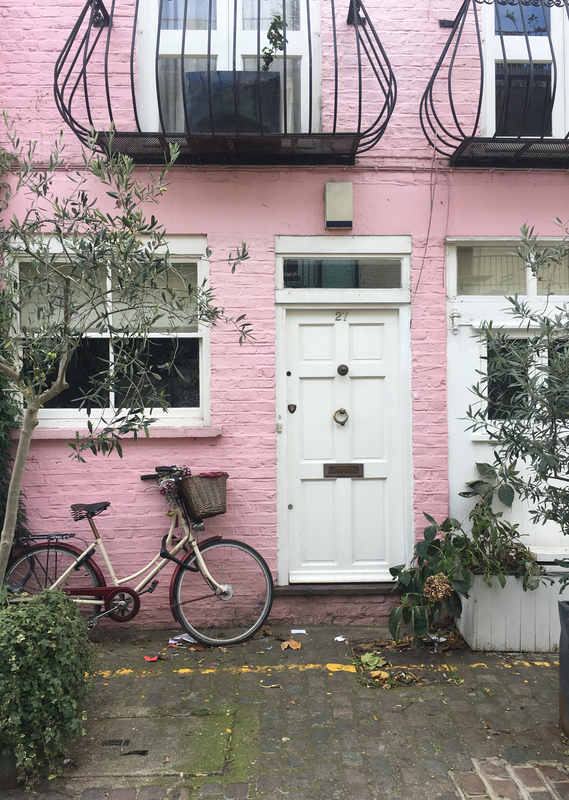 Notting Hill: Anywhere and everywhere – from the pastel lined streets to the tucked away alleys (like St. Lukes Mews shown below). 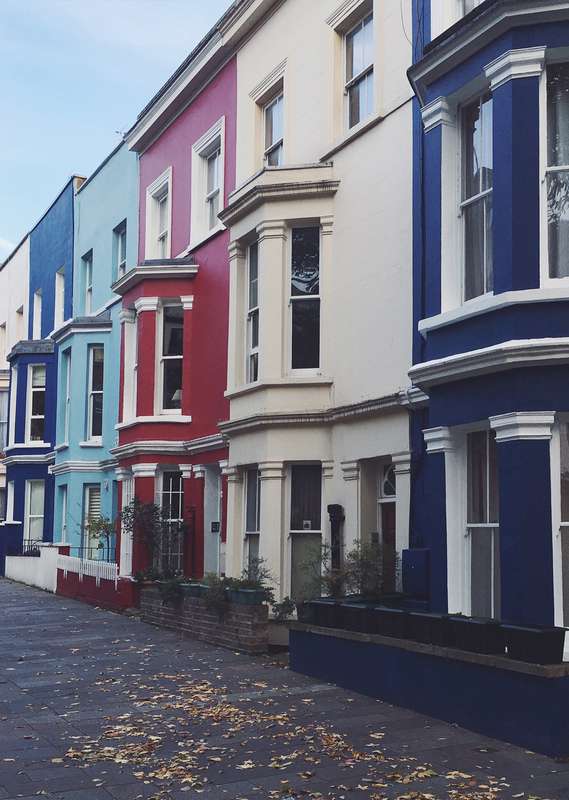 Marylebone High Street: This gem of a little street is actually where my University was located when I studied abroad – lined lots of photo-worthy storefronts. Queen Anne’s Gate: A tucked away street along the path from Buckingham Palace and Big Ben, well worth the detail. You’d be hard pressed to be bored in London. And depending on your interest there’s really something for everyone. Here, a few of my personal favorites. 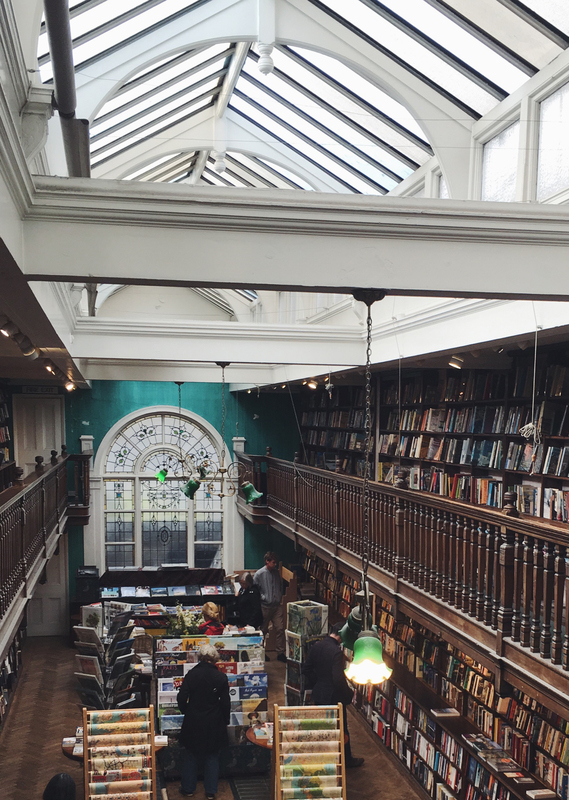 Daunt Books: My favorite bookshop in all of London. They organize the sections by location in the world – so aside from guidebooks to London, you would also find the work of Dickens and Austen in the ‘England’ section. 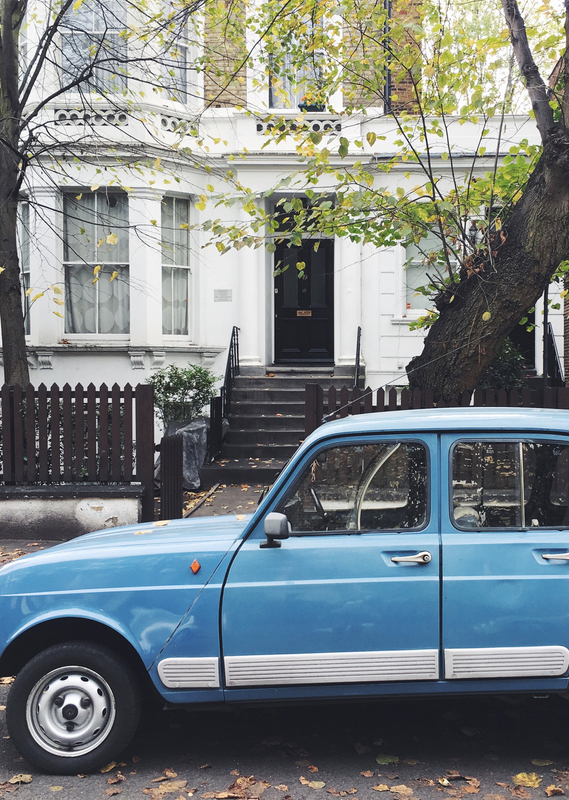 Portobello Road: You don’t have to be a fan of the movie Notting Hill to enjoy Portobello Road – this outdoor market includes amazing vintage clothing and antiques stalls on the weekends meaning you’ll likely want to carve out a few hours for wandering. British Library: Housing everything from the Magna Carta to original works by Shakespeare to Beatles lyrics scribbled on napkins to Harry Potter tributes – if you’re a library lover this one is kind of a holy grail. 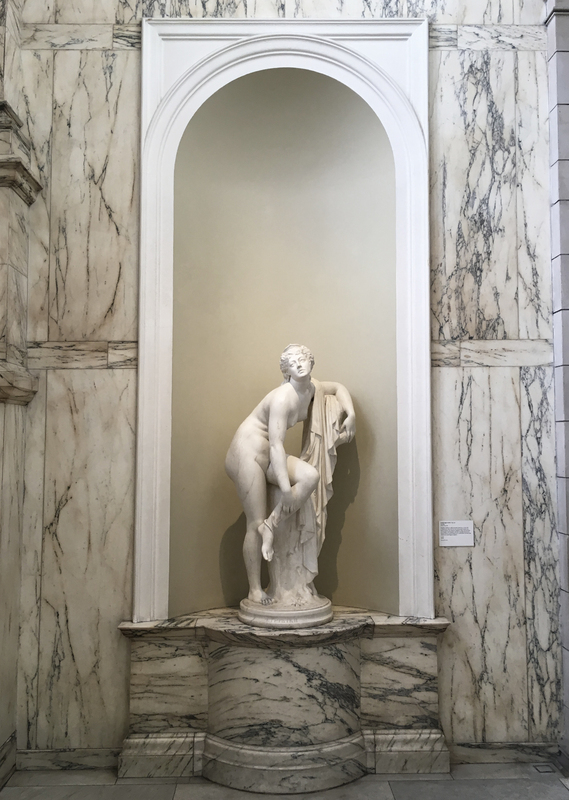 Victoria & Albert Museum: London’s museums are largely free (amazing, I know) and while I love the Tate Modern or the Natural History – the V&A is far and away my favorite. With the best historical clothing display I’ve seen anywhere in the world but lots of other rotating exhibits ranging from industrial design to classic art – even Adam liked this one. London Eye: If you get a clear day in town, the London Eye is essentially a huge ferris wheel and offers a unique perspective to the city below.